"Tapestry brought to life their ancient and exotic repertoire in this superbly executed and entertaining concert." This program travels from west to east and past to present. It draws its inspiration from The White Rooster, a staged musical drama, created by composer Sheila Silver and librettist Stephen Kitsakos for Tapestry. 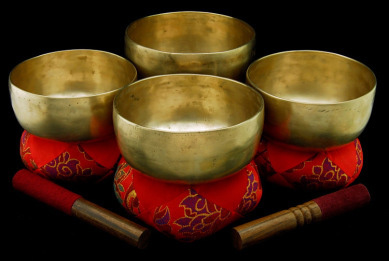 Composed for six Tibetan singing bowls, hand percussion, and four treble voices, the work was commissioned by the Freer Gallery of Art and Arthur M. Sackler Gallery, Smithsonian Institution, in conjunction with The Tibetan Shrine from the Alice S. Kandell Collection and Lama and patron artist, The Great Situ Panchen. 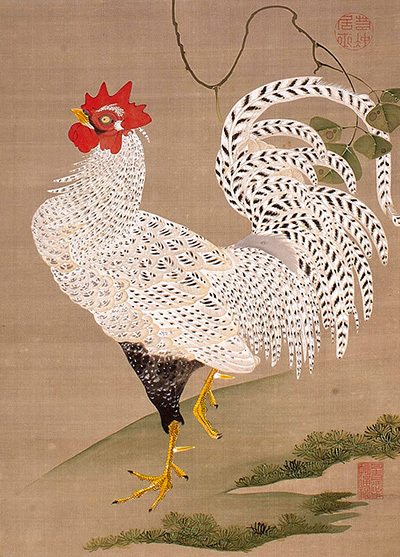 Following the premiere in July 2010 at the Freer and Sackler Gallery, Tapestry has been touring The White Rooster across North and South America. As a prelude to The White Rooster, Tapestry weaves a mix of medieval and contemporary songs exploring universal ideas of spirituality including songs of Hildegard von Bingen and selections from The Nine Orders of the Angels, a song cycle written for Tapestry. Tapestry's recording of The Nine Orders of the Angels was awarded the Echo Klassik, Germany's highest honor for recorded music. The Albany Times Union writes: "The tour de force of the afternoon was a 35-minute operatic cantata, 'The Tale of the White Rooster,' by Sheila Silver…The music was fascinating, using Tibetan chants, modern harmonies and interweaving original melodies with much variety." "Their finely executed performance was theatrical as well as operatic. " Tapestry also offers a residency in conjunction with this program that culminates with a performance of a work by Tapestry and chorus: "How can Barren be so Beautiful" by James Falzone for Tapestry and SSATB chorus, vibraphone and clarinet This new work, based on a Japanese poetic form Tanka, premiered in January 2013 at Cornell College, Iowa.